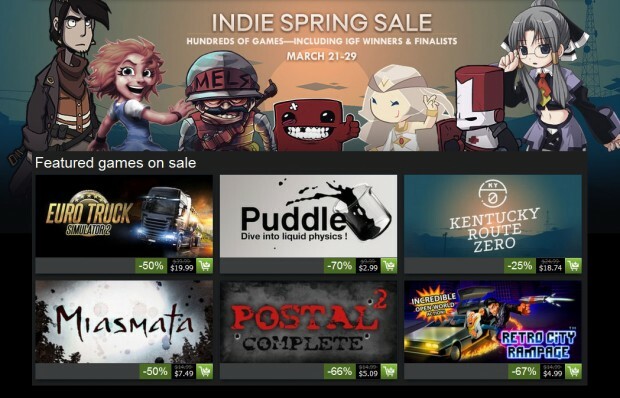 Home » Steam Indie Spring Sale goes live! It’s that time of the year again. Prepare your wallets guys, it’s time for a Steam Sale. Up for grabs are a thousand indie titles discounted up to 80 percent off. The sale will run from today until March 29. Most of the games are Windows only but if you’re on a Mac or Linux don’t worry, a lot of the games on sale are also available for your system of choice. Visit the sale page and prepare your wallet here.